Lapeer Seafood Market will open in Alpharetta City Center in March 2019, according to a press release Thursday. The restaurant will serve seafood and homemade pasta, at 12 North Broad Street, and is fashioned after the "relaxed beach towns" along the East Coast like Montauk on Long Island. Lapeer Seafood Market will be open daily for dinner with lunch and weekend brunch to follow. Louis Soon and Culinary Director Andy Long of Maven Restaurant Group, which includes Alpharetta eateries South Main Kitchen and Butcher & Brew, are behind the new restaurant. Lapeer’s "hyper-seasonal food menu" will feature day boat fish delivered daily, including variations of East Coast and Gulf oysters, wild-caught fish and shrimp from along the Gulf of Mexico, crabmeat from Bayou la Batre and tuna from Louisiana. Local produce will be sourced from small, family-run businesses in the area, such as Levity Farms, Tucker Farms, AJ Stonehaven Farms, Martin’s Garden, Crystal Organics and Ashland Farms, with herbs from Grant Wallace Farm in Conyers, Georgia. The restaurant will also source salts from different regions and throughout the U.S. 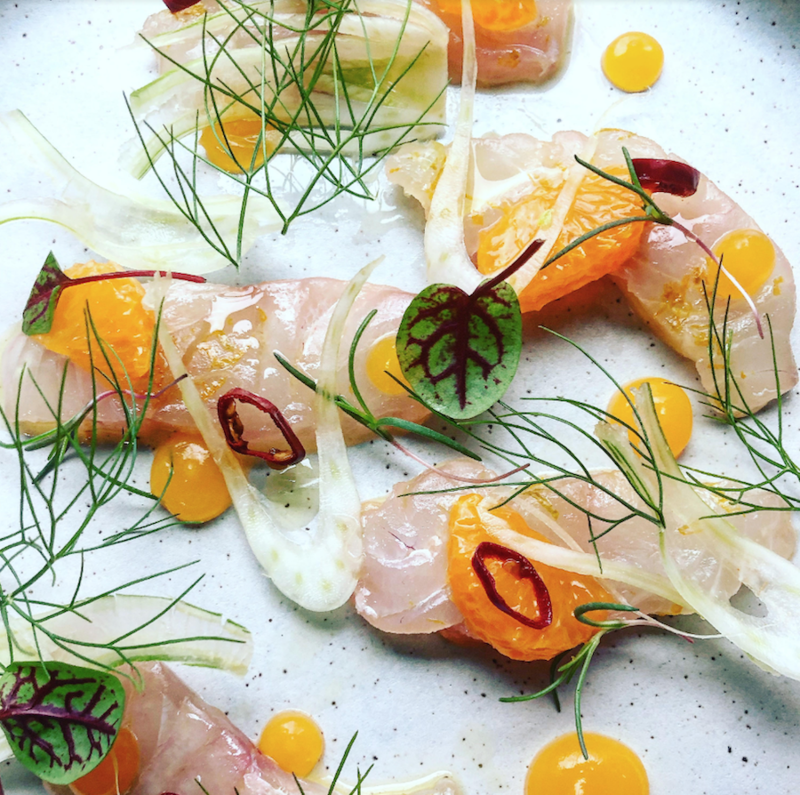 In addition to a raw bar, including snapper crudo with shaved local fennel, citrus, chilies and Peruvian pink salt, guests can expect shareable family-style plates, a seafood tower and more. The beverage program will be centered around Mezcal. Lapeer’s space is designed by New York's Curious Yellow Design, the firm behind residential and commercial projects including Hero Beach Club in Montauk. The 3,000-square-foot restaurant boasts 15-foot ceilings and white slat walls and brass finishes throughout. A year-round, greenhouse-inspired, 840-square-foot outdoor patio will flank the restaurant and overlook a courtyard in City Center. string(41) "12 North Broad StreetAlpharetta, GA 30009"